Guess what? 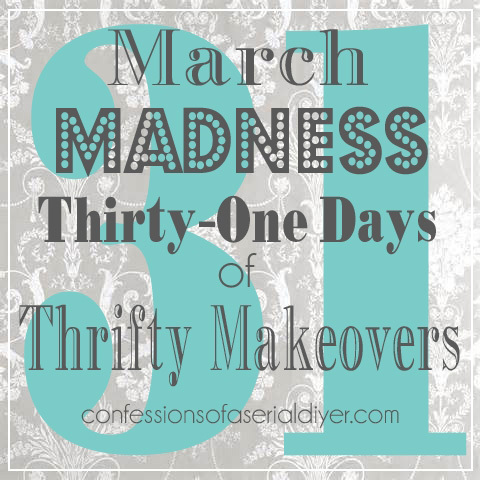 It’s day #11 of March Madness! Can you believe how fast March is flying by? I’m just glad we’re finally seeing a little Spring weather around here! 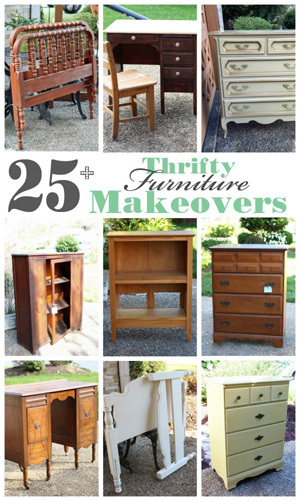 How about a furniture makeover today? 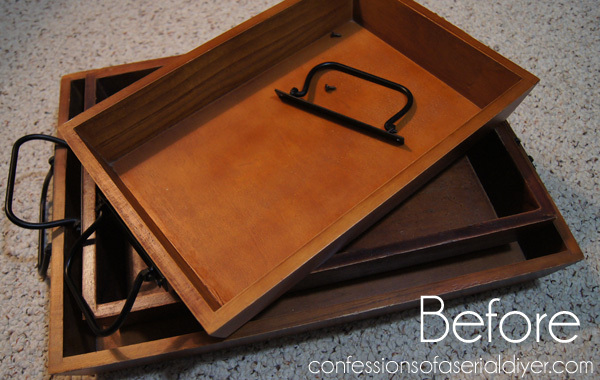 It was in the dining room and the bottom drawer has dividers for flatware, and I believe it had wheels at one time. It’s a server of sorts. I thought it would make a fantastic TV/media stand, if you don’t have a ginormous TV. I removed the pieces in the drawer that held flatware so it’s one large drawer now. I love this color. 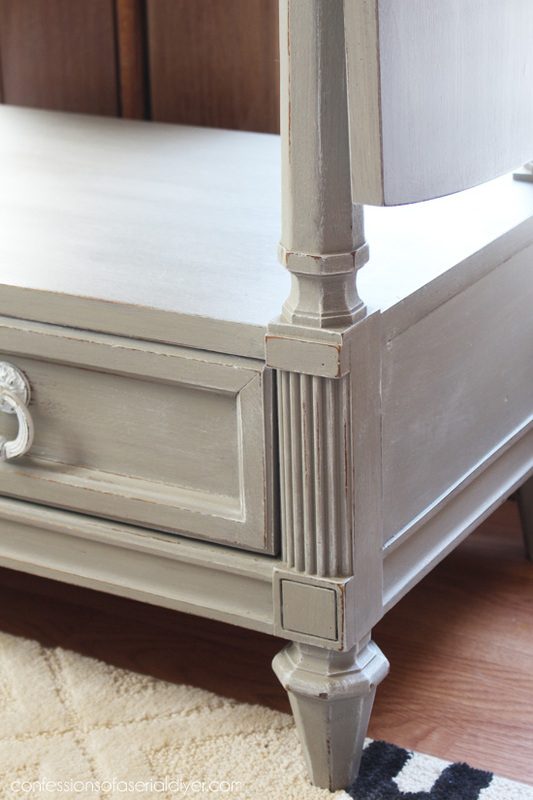 It’s French Linen chalk paint by Annie Sloan and the coverage is amazing! I dry-brushed white over it to add depth and give it a bit of a wash feel. Then I sanded the raised areas. I love the look of it. The pulls are original. 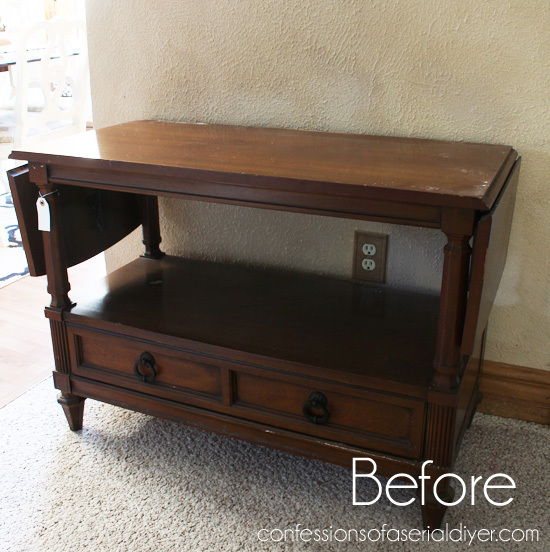 I just gave them a couple of coats of Rustoleum’s Blossom White spray paint and then sanded them to age them. This color is such a pretty, soft, and sophisticated neutral and I really love it. It already sold in my booth! 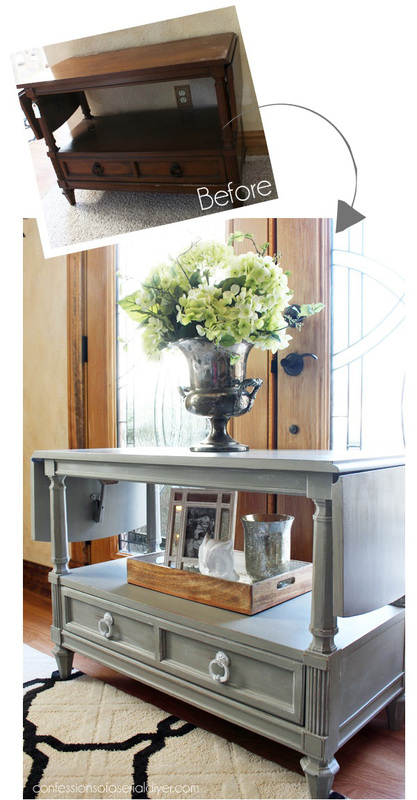 I absolutely love that serving cart. Oh, my sterling silver tea/coffee service set would look perfect on that. 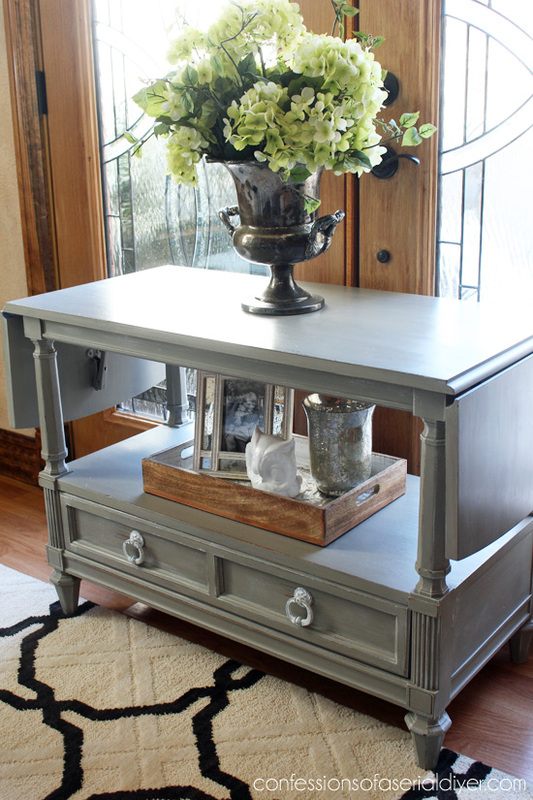 I love seeing how you repurpose furniture pieces to make them new and fresh. I am enjoying your March Madness redo’s. Very creative! Thanks. That is an interesting piece and can’t beat the prices you’re getting at these estate sales! 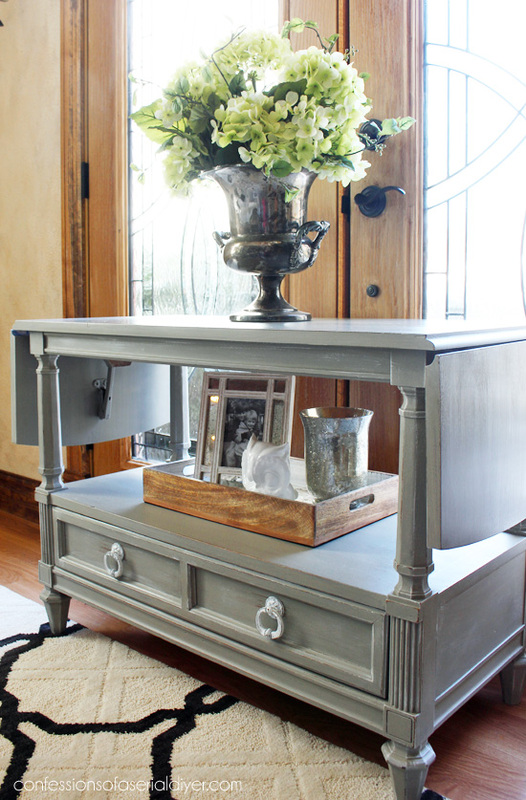 French Linen is such a pretty color and it looks great with the wash over it. No surprise it already sold. Like you said, it would be perfect for a tv console, with the arms extended it could fit a decent size one. I got van in October and wowsers you can fit a lot of crap in that thang (coming from someone who said they would never own a van)! You won’t regret it if you get one. Wasn’t this a steal?? I walked into this estate sale in it’s final hour and they announced everything was 75% off! That’s why I was bummed I couldn’t fit more in my SUV. I am really thinking a van is in my future!! 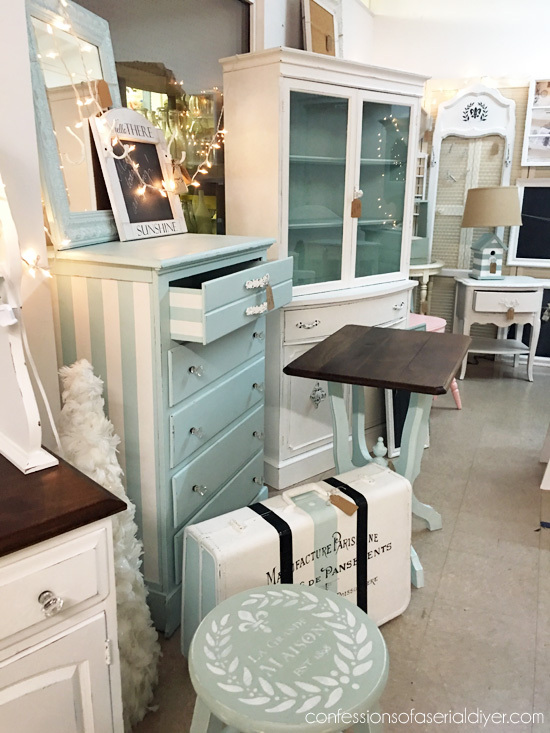 French Linen was a great choice for the server–I see why it has already sold! 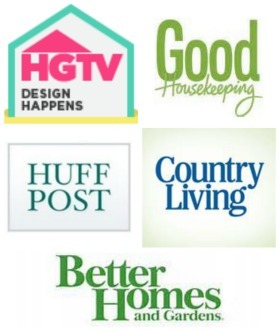 Like your other projects, it is very versatile and would appeal to many different tastes. Wow, what a gorgeous piece! Oh this is a beautiful piece, Christy! Love the sides that fold down! And the color and handles are perfect!!! I think this piece is more beautiful now than in its original color. Really shows up in the colors you choose. Oh my gosh, this is gorgeous! 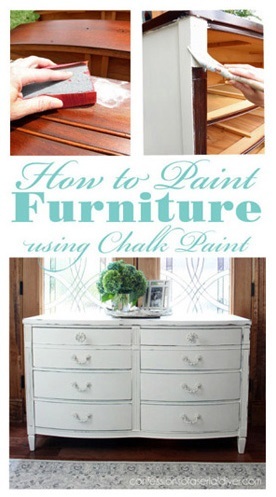 I have yet to try the chalk paint (I know, i know!) but I love this color so much I think it’s time! Really nice job! 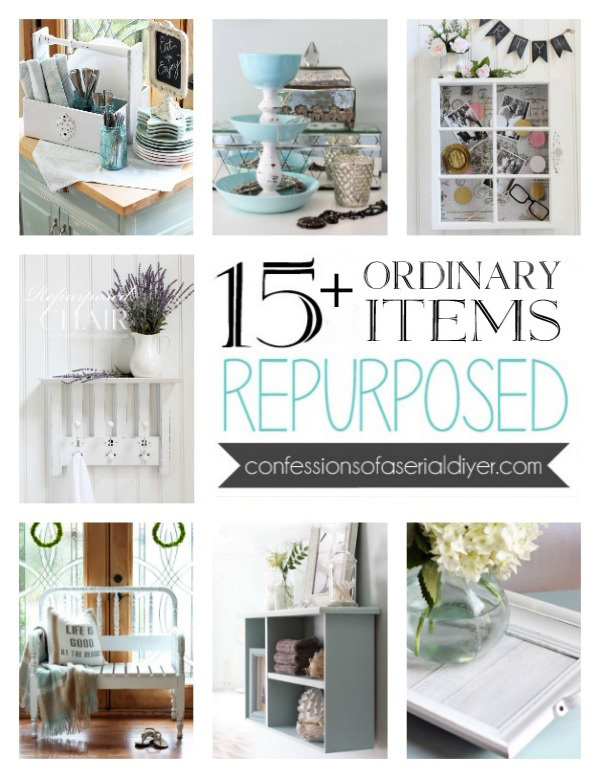 New to your blog but I just love it! Ok, that’s it. I have these two little bedside heats that I’ve been working on and they’re just not quite right. I’m going to bite the bullet and buy some French Linen and give it a shot. Thanks for the inspiration! 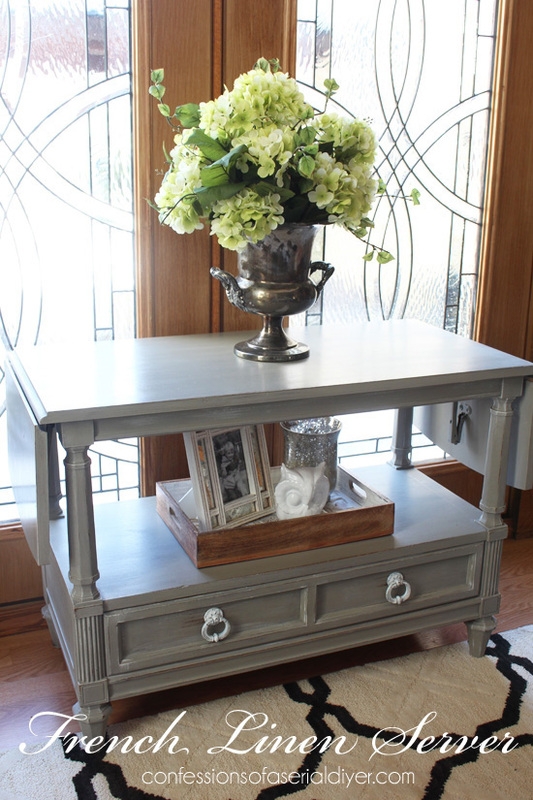 I have a piece of furniture just like this one. It goes with my dining room set. 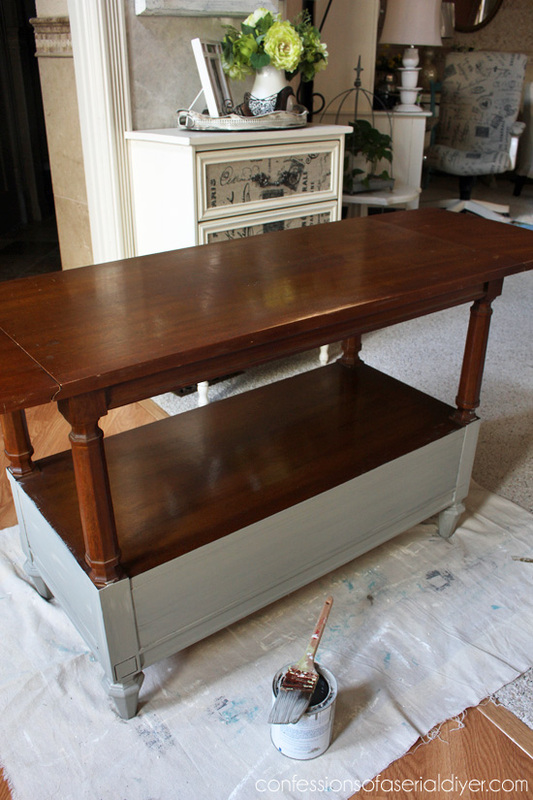 I was thinking of painting it along with the hutch and table & chairs, but I have never work with chalk paint. I’m a little nervous, but one question I have is – Does this paint remain looking nice or does it chip after time. This color is ~ French Linen ? Hi Rose, This color really is beautiful in person and it is called “French Linen” by Annie Sloan. I have never had a chalk-painted piece chip. 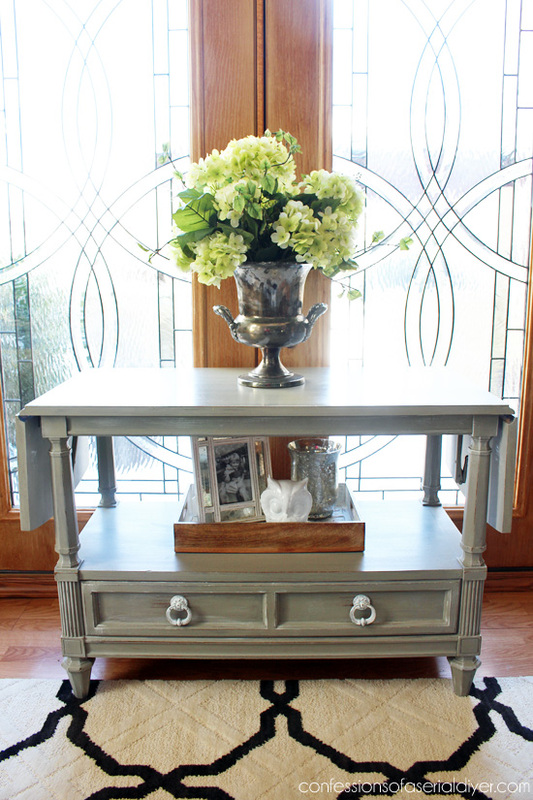 The wax finish (also by Annie Sloan) combines with the paint for a long-lasting durable finish. To get comfortable with it, consider painting a smaller test piece first, but I think you will love it! All your pieces are beautiful. Thought I would take advantage of redoing a few pieces of furniture before I move them into the new home. I have an almost exact dining set to yours and have been mulling over whereto begin with redoing it, thanks for the ideas and the hints on getting the varnish off so easily. Love your taste in decor!!! Aww thanks, Claire!! It was a bit of work, but the transformation was night and day…good luck with yours. You will love it! !